The first trailer for Spike Lee's "Old Boy" remake of Park Chan-wook's signature thriller is already creating a buzz among cineastes around the world. Starring Josh Brolin, Lee's much-hyped work is expected to become another gruesome thriller revolving around a man who was locked away for 20 years in a prison that was originally based on a Japanese manga. Before releasing the film in October, there has been much debate over whether it contains the famous live octopus-eating scene from the original or not. Adaptation is always a risky task as striking a balance between alteration and originality is tricky. Nevertheless, producing a remake has been a common practice in the cinematic scenes. Particularly, in recent years, Hollywood is remaking a slew of Korean films as the Korean movie industry has grown into one of the world's biggest film markets. The new "Old Boy" finds its way into cinemas in October in the world. Two others from Park's Vengeance Trilogy _ "Sympathy for Lady Vengeance" and "Sympathy for Mr. Vengeance" are set for the Hollywood remakes. Silver Reel and Lotus Entertainment are teaming up with di Bonaventura Pictures and CJ Entertainment to produce an English version of "Sympathy for Mr. Vengeance." The copyright of "Sympathy for Lady Vengeance" was also sold to Hollywood in 2005. Charlize Theron will play the lead role performed by Lee Young-ae in the original and co-produce the film. The script will be adapted by William Monahan, who wrote "The Departed." Sony Pictures, one of the leading film studios in Hollywood, has decided to remake "New World" directed by Park Hoon-jung which opened in April, starring Choi Min-shik, Hwang Jung-min and Lee Jung-jae. Hollywood's mainstream studios such as Dream Works, Warner Bros. and Paramount Pictures vied for the remake bid of "New World" when it joined the European film market at the Berlin International Film Festival in February. The movie will be rewritten by Will Fetters who wrote "Crazy for the Storm," "The Lucky One and Remember Me" and will be produced by Vertigo Entertainment, which also made "The Departed," the well-known remake of a Hong Kong film "Internal Affairs." Vertigo is also working on Na Hong-jin's "The Chaser," which starred Ha Jung-woo. For the Hollywood remakes based on Korean films, Sanford Panitch, president of 20th Century Fox International Production (FIP), said that for many people in Hollywood, Park's "Old Boy" was "a catalyst" that triggered global interest in Korean films when he came to Korea for promoting "Running Man" in February. He pointed out the unique form of storytelling is a common strength in Korean films. "We're certainly involved in the China market and we're also involved in the Japanese market and in making Indian films, so Asia has become a hugely important territory. But there is a kind of storytelling in Korean films, which is unlike any other cinema in the world," said Panitch. "So as much as we hope to make successful Korean films, we also are having an opportunity to find talent that we can make Hollywood films with or to make Korean films perhaps remade into Hollywood films," he said. Foreseeing the potential of the Korean film market, the president said that FIP fully funded "Running Man" and partially invested in the production of "The Yellow Sea" starring Kim Yun-seok and Ha Jung-woo. "The Yellow Sea" will also be remade in Hollywood. Concerning the adaptations of the Korean films in Hollywood, actor/director Ben Affleck said: "Korean films are known for their professionalism and many of them have remarkable drama. There must be certain reasons why there are many remakes of Korean films in Hollywood. They are all well made stories." Adam Sandler will also appear in a remake of "Hello Ghost," a Korean supernatural comedy, working with director Chris Columbus who is renowned for "Home Alone" and "Mrs. Doubtfire." 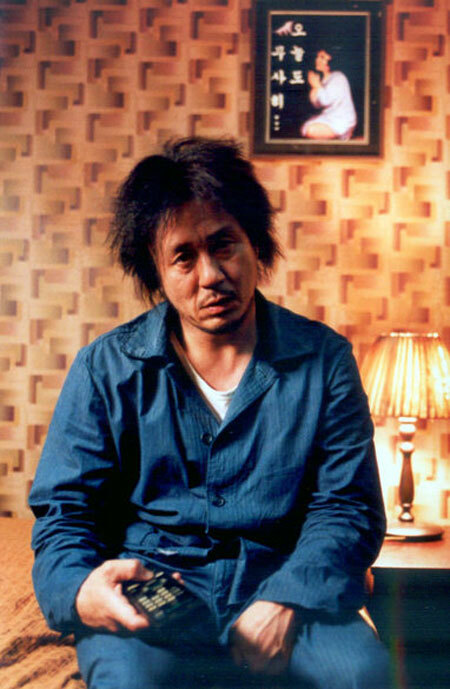 Sandler will replace the comical role of Cha Tae-hyun. The film revolves around a man who is haunted by four ghosts after attempting to kill himself. The production of the new "Ghost" by Universal Pictures is expected to be completed around 2014. According to the Korea Film Council (KOFIC), the number of Hollywood remakes of Korean films has been sharply rising since late 2000s. Korean melodrama "Il Mare" directed by Lee Hyeon-seung was reworked as "The Lake House," starring Keanu Reeves and Sandra Bullock, the first-ever Hollywood version of a Korean film in 2007. In 2008, the new "Mirrors," casting Kiefer Sutherland, was spawned from the Korean original "Into the Mirror" starring Yoo Ji-tae.The Hollywood version of "My Sassy Girl," one of the representative works by Jun Ji-hyun and Cha Tae-hyun, was remade with the same title. However, such remakes have not often been successful as changes to the originals can be awkward and cultural differences remain huge. Also, the films' copyrights sold to the Hollywood studios don't necessarily lead to actual productions or releases to the public as the cost and time needed to adapt them for a totally new audience is challenging.